Family gatherings, meals shared, presents gifted – the holidays are just around the corner. Don’t dig out the boxes of decorations just yet. 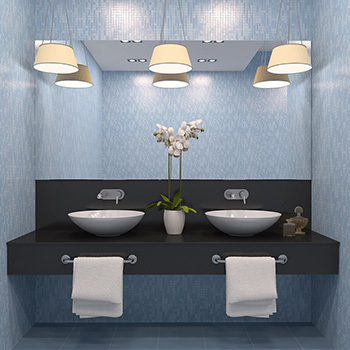 You might want to consider giving your bathroom a “mini-facelift” before your guests arrive. Who needs tinsel when a shiny new faucet can add some extra sparkle to your holidays? If you’re looking for ways to spruce up your bathroom before the holidays, here are some ideas to get you started. Remember, you don’t have to do all of them – selecting one idea on the list might be all your space needs to feel fresh and new without added stress. 1. 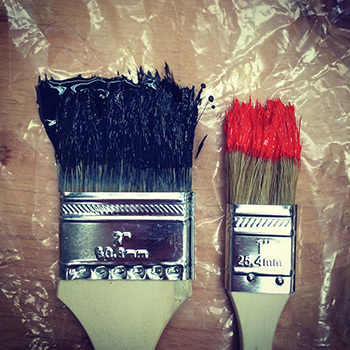 Paint it: Tired of the drab beige walls in your bathroom? Paint them. One of the simplest and most dramatic changes you can make to any space in your home is with paint. Small rooms like bathrooms can be painted easily, and the cost of paint is nominal compared to other updates. 2. Cover the walls: Looking for a bolder statement on the walls? Why not wallpaper? Wallpaper is a trendy way to update any space, and bathrooms can be ideal spaces to add drama on the walls. Remember that wallpaper doesn’t have to go floor-to-ceiling — having a chair rail can give you the opportunity to select a wall covering for half of the space. 3. Add new fixtures: A new faucet for the sink, or shiny new knobs or pulls for your vanity can refresh any bathroom. Faucets are a focal point and can be a beautiful design element in your bathroom. Finishes come in brass, copper, chrome, nickel, gold-plated, oil-rubbed bronze, shiny, matte or satin, and styles come in a variety of price ranges. Even small details like adding hardware to the vanity can provide refreshing results, and there’s no shortage of options. 4. Swap out the vanity: A contemporary new vanity or new counter tops for your existing vanity can provide style and make a statement. Unlike the size of counters in a kitchen, bathroom counters can provide an opportunity for adding beauty without breaking the bank. 5. Replace the flooring: If you’re still living with laminate floors in the bathroom, it might be time for an upgrade. Beautiful new tile or solid vinyl floating floors can dramatically change the space, while making it feel much more high-end. If you like the look of wood, you can find wood-look porcelain tiles in a variety of colors and finishes, and they are ideal for a bathroom. 6. Refresh the lighting: A new pendant light above the vanity or beautiful new sconces alongside the bathroom mirror might be the perfect touch in your bathroom this holiday season. With endless options to choose from, including geometric shapes and unique finishes like brushed gold, you might be surprised how a simple lighting update can change your space. 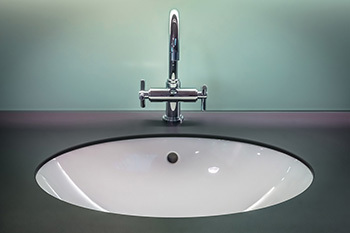 If your bathroom hasn’t been updated in the last 15-20 years, it may need all of these improvements and more, which would be beyond the skill level of the average homeowner. That is the time to hire an experienced contractor who offers design services, as well as quality installation, backed up by a lengthy warranty. Update your guest bathroom before your holiday guests arrive by calling the professionals at Craftsmen Home Improvements at (937) 299-5201 today for your free in-home consultation.